Anton Falk Capital Partners upgraded Fitbit, Inc. to "BUY"
Anton Falk Capital Partners upgraded Fitbit, Inc. from a "hold" rating to a "buy" rating in a report recently released. ZURICH, Switzerland - Oct. 30, 2017 - PRLog -- Anton Falk Capital Partners upgraded Fitbit, Inc. this Monday, October 30th, from a "hold" rating to a "buy" rating in a report recently released. The company currently has a $6.68 target price on this technology company's stock. Anton Falk's target price would suggest a potential upside of 10.09% from the stock's current price. Several other research analysts also recently commented on Fitbit, Inc.
Fitbit: is an American company headquartered in San Francisco, California, known for its products of the same name, which are activity trackers, wireless-enabled wearable technology devices that measure data such as the number of steps walked, heart rate, quality of sleep, steps climbed, and other personal metrics involved in fitness. 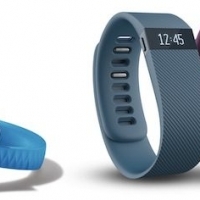 The first product released was the Fitbit Tracker. Some evidence has found that the use of similar devices results in less weight loss rather than more.